Pepsi has a range of colorful cans of sparkling water. They are called Bubly, but Canadian singer and superstar Michael Bublé won’t have and demands a name change. He’s even willing to take matters into his own hands. 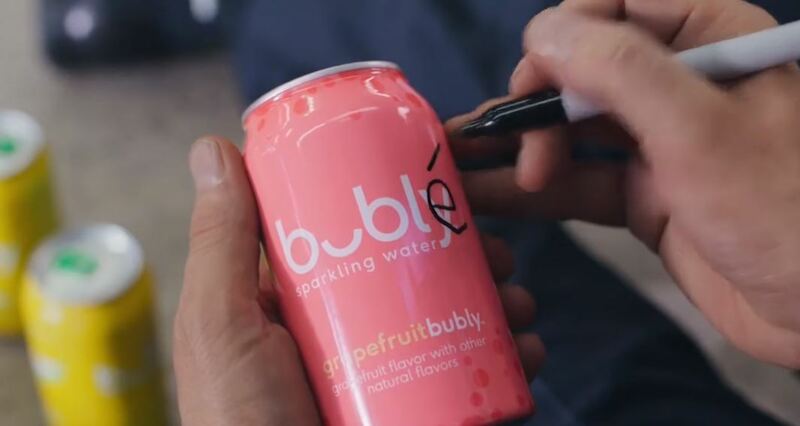 Watch the new Bubly vs Bublé ad. The Superbowl is coming and with it are great ads as well. This one is both clever, fun and about food or drink so its perfect for me. It’s about how the Canadian singer and superstar Michael Bublé doesn’t love the name for Pepsis range of sparkling water Bubly. Actually, he would like it to be named after him instead. Just watch the great ad below.